Water kefir is a probiotic drink made with water kefir grains. Water kefir is not so well known as milk kefir, but it's the same concept. Water kefir is a mild, refreshing, lightly carbonated beverage. Water kefir is fermented at roomtemperature for about 24-48 hours. Water kefir has many health benefits. It is a wonderful alternative for those who are lactose intolerant. Water kefir is full of probiotics and has just as similar advantages as milk kefir. The affordability of sugar and water do not only makes it healthier than most beverages, but also cheaper. The reusable water kefir grains are a good investment for your health. Water kefir has more resemblance to Kombucha as with milk kefir. Water kefir is not commercially available, but it may be produced with the live water kefir grains. 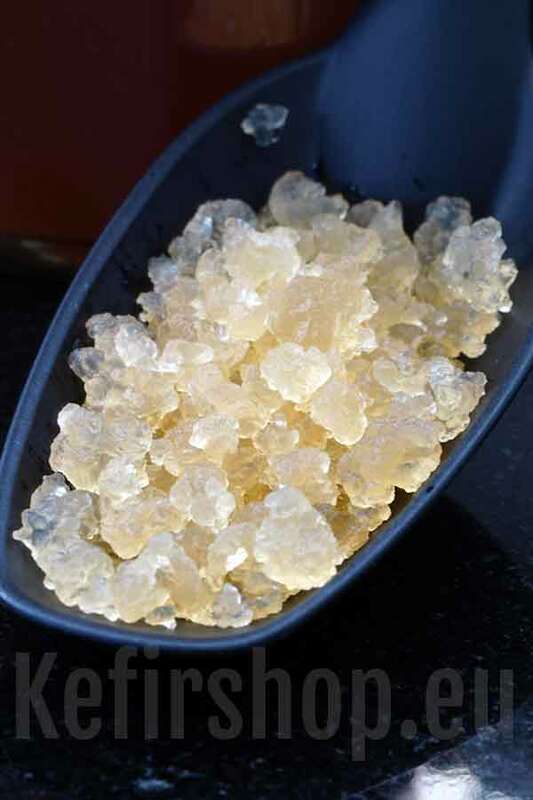 Please see the individual product descriptions for specific information about using water kefir grains. Making water kefir is easy. 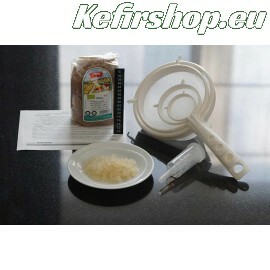 Kefir cultures for making water kefir are available.